The twisting mountain roads of the Maggie Valley and Waynesville area in North Carolina are some of the most popular motorcycling destinations in the world. 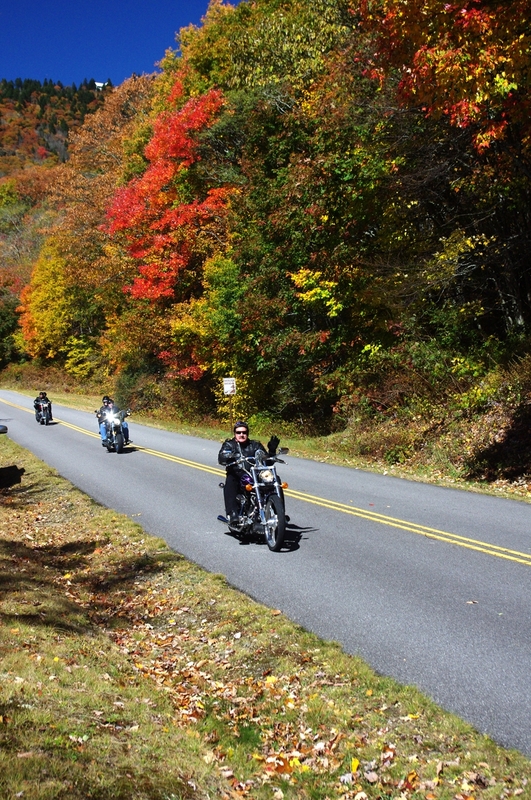 Whether you’re riding a motorcycle or driving a sports care, be ready to scrape some metal or squeal your tires on some wild curves on the “Tail of the Dragon,” also known as Deals Gap. With a world-famous reputation, this 11-mile stretch with 318 curves has become a destination for hundreds of thousands of motorcyclists and sports car drivers looking to tame the beast. Located on the North Carolina and Tennessee border, this road has been featured in a number of movies including The Fugitive (1993) with Harrison Ford as well as several documentaries. Larry the Cable Guy also recently explored this road on the History Channel (Check out re-runs). A great motor touring brochure featuring several tours on the Blue Ridge Parkway and Smoky Mountains is available at www.VisitNCsmokies.com.